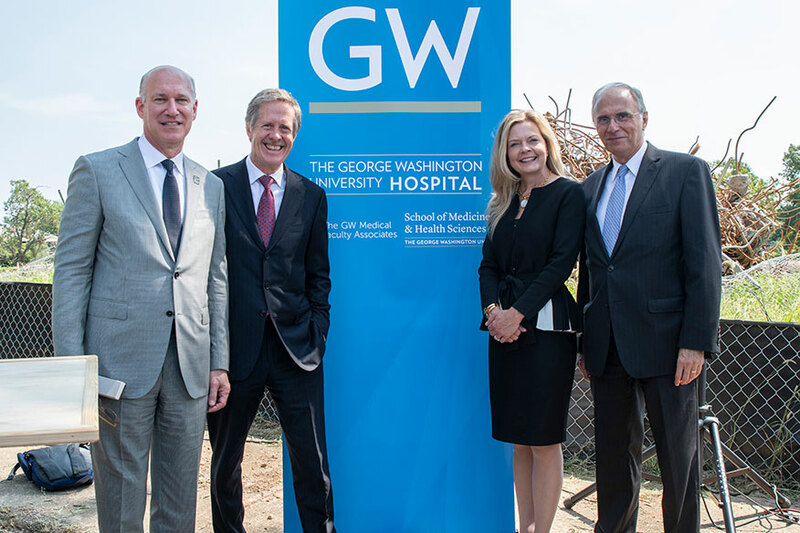 News » GW Hospital Selected to Open New Hospital and Health Complex in Southeast D.C. In an effort to improve health equity and health care access and to bring research and technology to Wards 7 and 8 in Washington, D.C., the George Washington University Hospital signed a letter of intent to oversee the opening of a new hospital and health complex in Southeast D.C. The complex will be located on the campus of St. Elizabeths East through a partnership between GW Hospital and the government of the District of Columbia. The new complex, slated to open in 2023, may include urgent care, outpatient surgery, diagnostic imaging and physician offices and is designed to improve access and outcomes that will better the health of all D.C. residents, GW Hospital CEO Kim Russo said during an announcement made Friday morning in Southeast D.C. The hospital's bed count will be finalized based on assessment of community need but is tentatively expected to be between 100 and 125 beds. In addition, the Southeast location will work in coordination with the Foggy Bottom Campus, which will continue to provide tertiary critical care services. “As the first medical school in the District of Columbia, we are proud to be an important part of the history of this great city and an important part of the fabric of this community,” said Jeffrey S. Akman, MD ’81, RESD ’85, vice president for health affairs, Walter A. Bloedorn Professor of Administrative Medicine, and dean of the School of Medicine and Health Sciences. “Throughout our history, GW has responded to the growing needs of our own community and society at large through our commitment to finding solutions to local, national and global problems. GW looks forward to working with the District on the final agreement with the goal of improving health care and achieving health equity with the residents of Wards 7 and 8 and the entire District of Columbia,” he said.